BBC Travel writes, “Koreans have a diet rich in fermented foods, which is said to lower cholesterol, boost immunity and inhibit cancer (Credit: Otto Ferdinand/Getty Images and BBC Travel). On August 9, British news media BBC’s travel channel, BBC Travel, released an article to introduce five countries where people are expected to live the longest, as ranked by the 2017 World Happiness Report. Along with Japan, Singapore, Switzerland, and Span, South Korea was also ranked in the list. 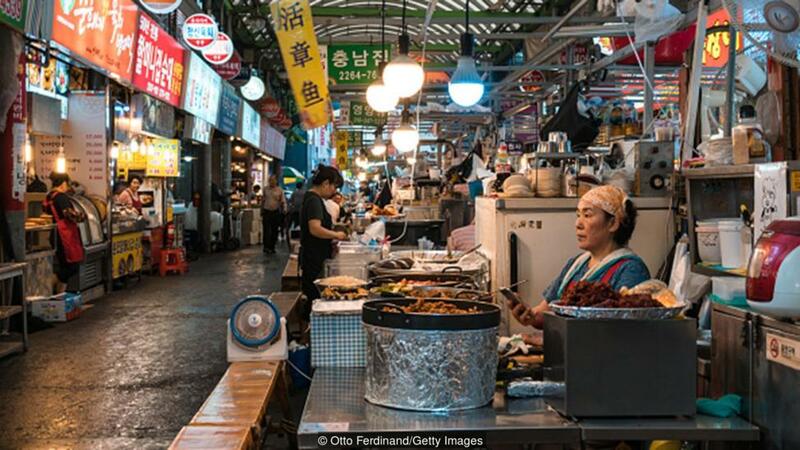 Writing, “South Korea is set to be the first country to hit a life expectancy of 90 years,” BBC Travel explained that such a high life expectancy credits to the country’s growing economy, broad access to healthcare, and comparably lower blood pressure. The media also introduced fermented food and Jjimjilbang as the contributing factors to the healthy life of the people in Korea. Fermented foods, which are represented by kimchi in Korea, help lowering cholesterol and boost immunity. In addition, the country’s community-driven lifestyles – as shown in the popularity of Jjimjilbang, the public bathhouses – enhance the everyday quality of life, as BBC writes. “In South Korea, there’s also an overall sense of mindfulness that comes with the Buddhist mindset and an overall attitude toward a culture of cooperation versus individualism,” added Camille Hoheb, founder of Wellness Tourism Worldwide.